With the new Skyliner gondola system in serious testing at Walt Disney World, we are starting to get really excited to have a bird’s-eye view of the resort. But there are still quite a few things we do not know about the Skyliner. We have been told the Skyliner would open in the fall of 2019, which we were thinking would coincide with or maybe even precede the opening of Star Wars: Galaxy’s Edge in Disney’s Hollywood Studios. But we still are not sure exactly when the Skyliner gondolas will be ready to transport guests across Walt Disney World. With the recent announcement that Galaxy’s Edge is opening a little earlier than expected, we wonder if Disney will push to have these guys operating in time for the new land’s opening day? There has been no confirmation of this, but that would be pretty awesome! Just how long are the gondolas going to take to get us from point A to point B? We know that Disney cannot give us an exact time because situations are ever-changing, but we are hoping they will give us an estimation. The Skyliner system will connect the Art of Animation, Pop Century, the soon-to-open Disney Riviera and Caribbean Beach Resorts with Disney’s Hollywood Studios and the International Gateway area of Epcot. Will it be worth it to take a gondola to transport to these locations over a resort bus? What are the benefits of taking a gondola over a bus? How many people can comfortably fit inside of one of these new gondolas? Is it a rather small space that can fit no more than 4-6? Or are people able to sit and stand allowing more guests to pile in a single gondola much like the monorail? 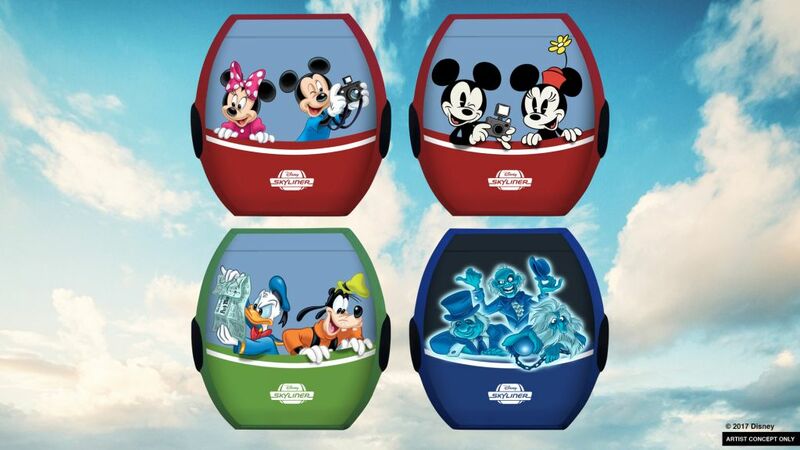 We’ve seen some saying that the gondolas will hold up to eight adults. We are hoping that these will be a little more comfortable and roomy than a crowded monorail car, but we know that isn’t likely since crowds are going to be even more insane once Star Wars: Galaxy’s Edge opens. Just how is this going to work? A large number of guests use wheelchairs or ECVs to maneuver throughout Walt Disney World, so will they be able to ride the gondolas? We assume so — Walt Disney World strives to be ADA-compliant and it would be wrong if Disney did not accommodate these guests. But will the gondolas be large enough to fit an ECV and a family within the same unit? Will the entire system have to slow down, or even stop to allow passengers who use wheelchairs or ECVs to board? We haven’t heard a peep yet as to how this will work, and whether passenger flow will be affected by making it accessible to all. 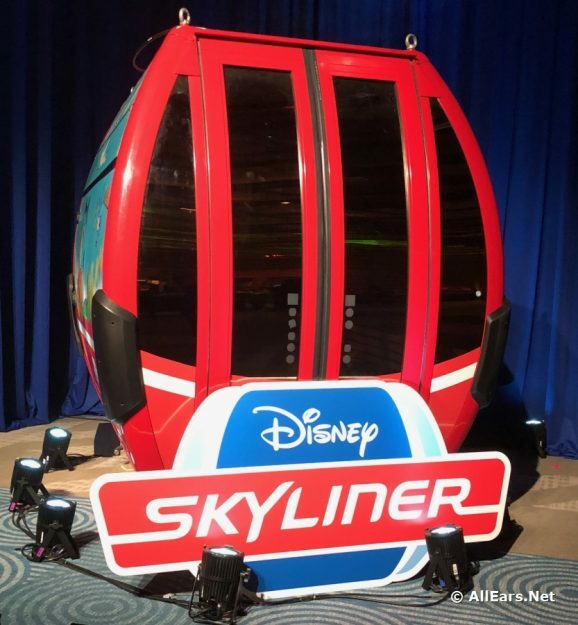 What questions do you still have about the new Skyliner gondolas? Let us know in the comments below! Previous PostPrevious First Look at Upcoming Star Wars ‘Galaxy’s Edge: Black Spire’ Book! 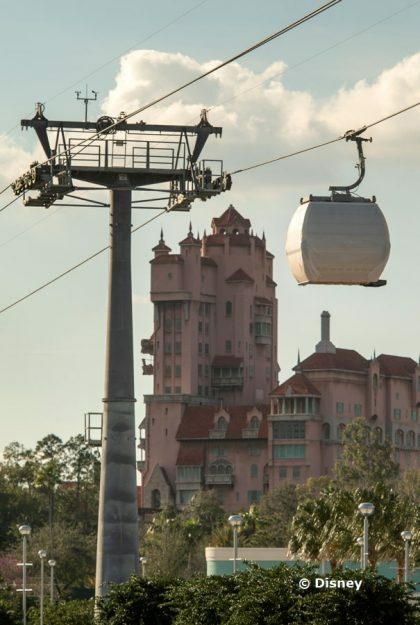 Will the gondolas just go from the resorts to the parks and back, or will you also be able to ride from Hollywood Studios to Epcot? I’m curious about the weight limit of each. I heard these gondolas will not have air conditioning. I find that hard to believe considering the Florida heat. Anyone have any info about that? What happens if people are afraid of heights. Will Disney still having buses for these resorts? My parents were just in disney. My mom stopped to ask some of these questions. The man just grinned and told her the gondolas will go faster than you’ll be expecting and you’ll get to the parks faster than if you take the bus. Exactly how was he grinning? Like the Joker? Novel idea but I don’t see how this could be faster than the bus. With so few boarding at one time, looks like the wait will be longer. The cars cannot come that fast to accommodate a long line of people. How weather sensitive is will they be. In other words, when one of those pesky, but offten heavy, Florida storms pass through, will it shut the ride down and if so, how pre-emptive will they need to be. I heard they will load them all up with global warming fanatics during lightning storms and send them on their way. There was information about ADA accessibility in some of the early press releases. From what I can remember, the vehicles are designed such that they can be removed from the wire for guest that require increased loading times then reattached when they are ready.